Featuring hardy, native and drought-tolerant plants that suit your site and can withstand the Calgary climate so they need little care. 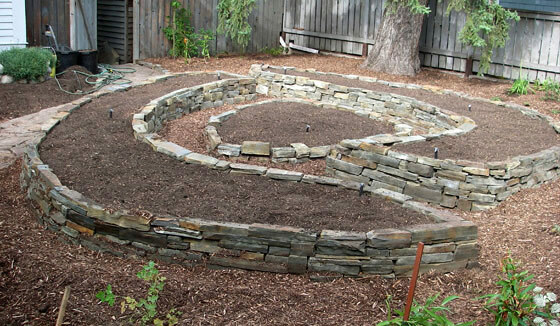 Using water-wise, xeriscaping, and permaculture techniques that minimize the need for watering in the long-term. 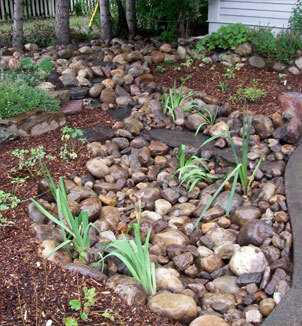 These include: wood chip mulch, French drains that run water underground into landscapes, as well as rock rivers and swales that flow water above ground throughout landscapes. 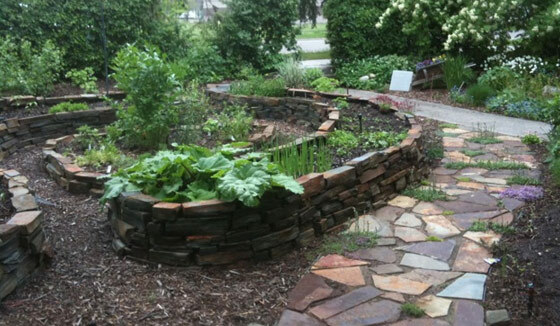 Installing plants and features, including eco-friendly lawns, that can be maintained naturally, chemical and pesticide-free, and are low-maintenance. This prevents the need to weed, water, and fertilize. Putting in raised vegetable beds or vegetable areas, fruit trees and berry bushes to support you in growing your own food. Our custom landscape designs are individually costed out and quoted. The design cost is determined once we see your site and learn the scope of the project after the initial consultation. The cost for the project installation is estimated once the design is finalized. We plan for keeping this within the budget you give us in the initial consultation. At our first meeting, we discuss your objectives for your yard (e.g. a quiet sanctuary in the back, a low-maintenance front yard with curb appeal), your likes and dislikes and any other parameters. Together we go through your yard and look at the different views of it from within your home. After the approval of the initial concepts, we do the design plan and estimate. 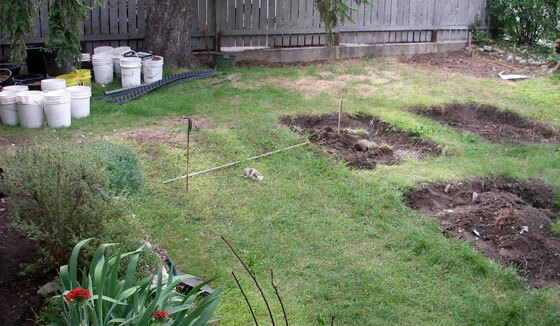 Once the design plan and estimate are approved, we schedule the creation of your eco-yard. 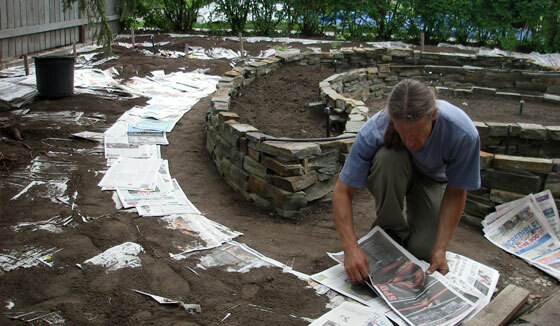 Contact us now to start your Eco-yards™ project today! Call early – fall or winter are the best times to plan and design.